A hunt monitor was seriously injured when he was knocked to the ground by a fleeing horse after it got its head stuck in a jump fence. 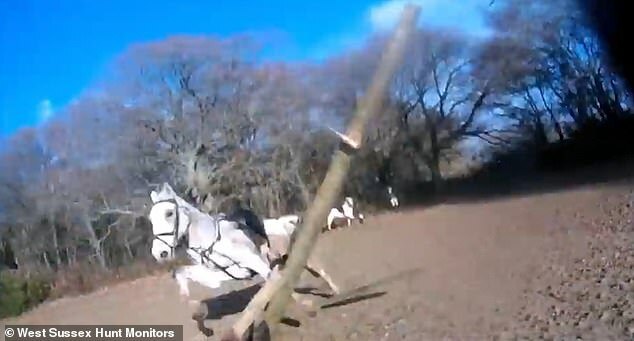 The clip, filmed during the Crawley and Horsham hunt, captures the horse as it becomes entangled in the wooden jump on January 1. 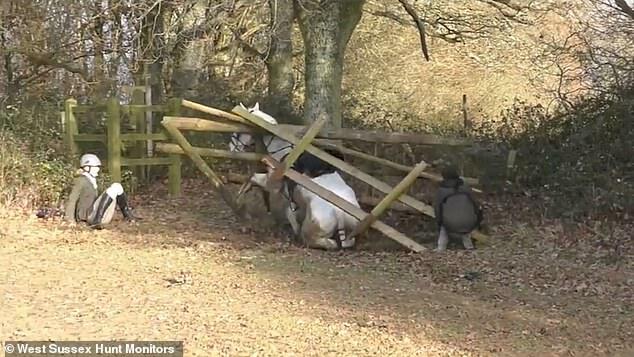 But as the rider attempts to remove the fence, her horse gallops away with parts of the broken jump still attached to its back. As it runs, pieces fall, and one large plank of wood collides with a nearby hunt monitor. He falls to the ground as the white horse runs into the distance now free from the fence. The camerawoman then runs over to the rider and the hunt monitor to check both are OK.
Another clip, filmed a few moments later, shows the hunt monitor lying on the ground. He is surrounded by a group of men as they wait for an ambulance. The video, posted to YouTube on Saturday, has since been viewed more than 11,000 times. 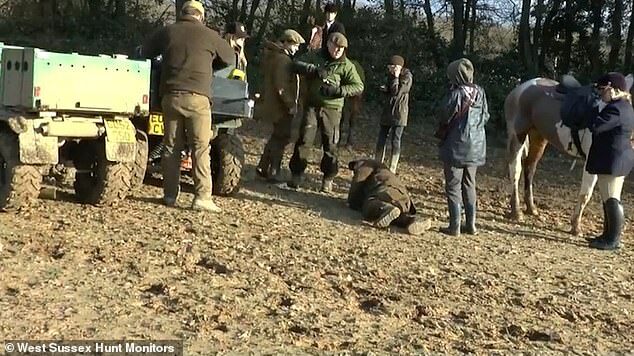 The caption warned of the risks of ‘fundamentally flawed’ hunt jumps. It said: ‘Hunt jumps are a menace to all. 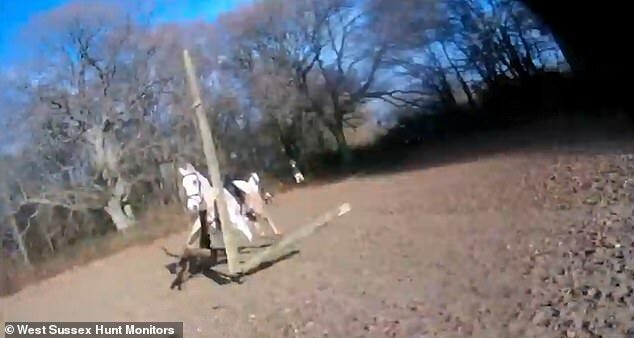 While monitoring the Crawley and Horsham hunt, which has a history of illegal hunting, a hunt monitor is severely injured after a horse falls through a wooden jump and runs off with jump attached.